an impact on an organizations bottom-line efficiency and productivity. 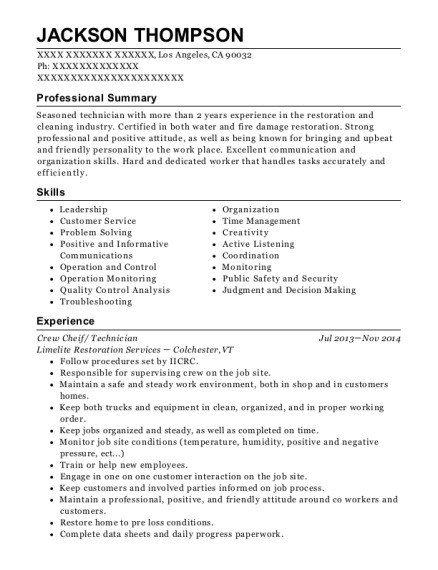 to help achieve organizational objectives. Maintained, monitored and adjusted cable network system for CATV (RF) communication services; HSD (high speed data) and telephony by performing outage repair and routine preventative maintenance. Repaired service outages: troubleshooting, diagnosis, and repair, and coordinating with Test Desk personnel. Completed special projects, solved difficult system problems, and provided technical expertise and assistance to other technicians by the routine use of sophisticated test equipment such as forward and reverse sweep systems, spectrum analyzers, leakage detectors, time domain reflect meters, PC based testing software, and other tools. Reports and production data by completing daily logs, orders, various reports, information. Provide project/planning management and technical installation programs and. Plan and manage IT related systems, resources, and support software, support of all mainframes, PC, application, and network communications. Desktop support for all PC problems, software installations and updates, trouble shoot calls, and new PC/printer installation, training for Office 2007, Windows Vista and Windows 7, PeopleSoft and all applications software. Maintenance and troubleshooting to ensure minimal system outages, knowledge of advanced networking skills to assist in the fault resolution of networks. New cell builds, microwave hops, LOS Surveys, and ground rings. Troubleshooting equipment to a component level. 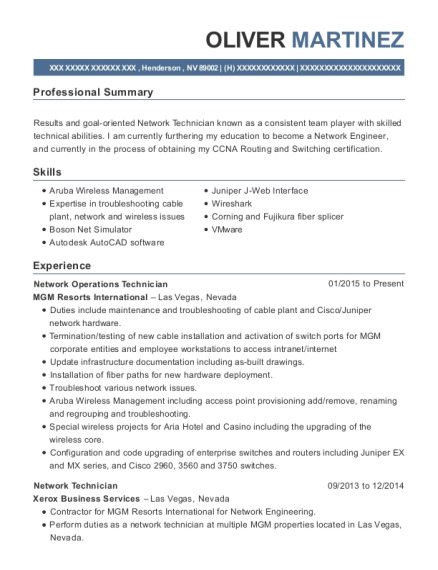 This is a resume for a Network Operation Technician in Menifee, California with experience working for such companies as Cox Communications and US Army. 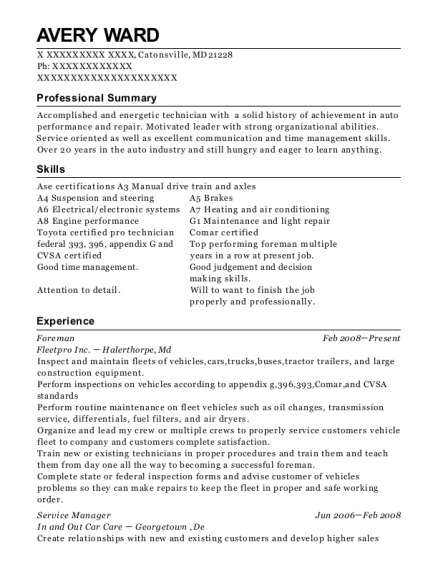 The grade for this resume is 0 and is one of hundreds of Network Operation Technician resumes available on our site for free. 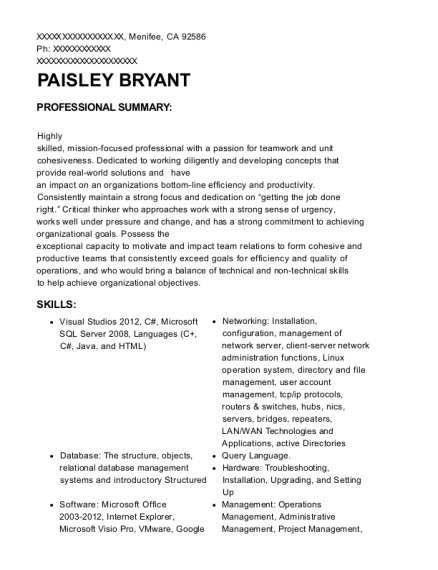 Use these resumes as templates to get help creating the best Network Operation Technician resume.